Another busy week comes to an end with plenty of highlights and reasons to celebrate. Even though Mother Nature continues to reassure us that the snow season is not over, I appreciate the small gifts of being able to drive home in daylight and knowing that my wall calendar indicates the beginning of Vernal Equinox on March 20th. On Wednesday, March 14th, students across our nation organized walk-out events to memorialize the victims of Parkland, Florida. Our secondary students made us proud with a thoughtful and organized ceremony to honor the seventeen lives lost at a high school in Parkland, Florida. Many students participated in the event while others opted to reflect and show their respect privately. Our administrators and staff did a great job in supporting our students. Our goal, in responding to events such as this and other forms of peaceful assembly, is to try and keep our focus on teaching and learning while providing guidance and planning to support student and staff safety. Please celebrate with me the outstanding students and staff we have in all of our schools. On Saturday, March 10th, forty nine Quinn Middle School band students and their family members attended the Boston Symphony Orchestra's Family Concert. This field trip was sponsored in part by the Hudson Band Organization. 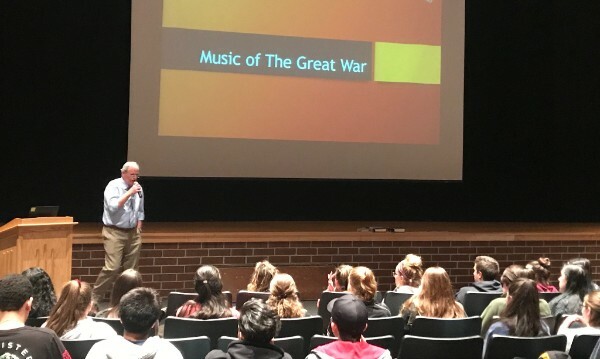 On Monday, March 5th, Dan Sweeney, former high school principal and Vice President of the Board Directors for Symphony Pro Musica, delivered a lecture to the tenth grade U.S. & World History students about the music of WWI. The presentation featured music that the Symphony will be playing in a concert this Saturday night at 7:00 at Hudson High School. The lecture presented biographical information on the composers, historical context for the compositions, and explanations of pieces themselves that helped students understand the music, which Mr. Sweeney then played, serving as the core of the lecture. In attendance, were 40 Hudson High School students and teachers, as well as members of the symphony and it's renowned director, Mark Churchill. Students were also granted complimentary tickets for Saturday's performance. Farley Elementary School ASsistant Principal Rachel Scanlon with Pastor Rosanne Roberts from the First United Methodist Church. Members of the First United Methodist Church in Hudson recently held a school supplies drive for the C.A. Farley Elementary School. 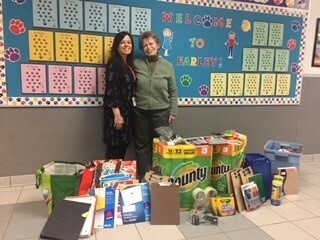 Assistant Principal, Rachel Scanlon, sent out an email to ask teachers what they needed and the church members organized the rest of the drive. The church also donates Target gift cards whenever the school needs to buy sneakers, clothing, etc. for students in need. Thank you to our wonderful neighbors at the First United Methodist Church! We love our community! The Blue Danube by Johann Strauss II, performed by the Hudson Public School's Concert Bands grades 5-12. 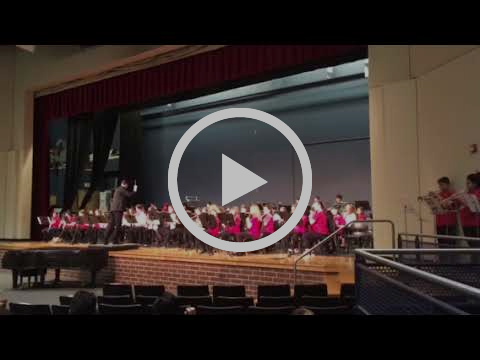 On Wednesday, March 14th, Hudson Public School's concert bands from Quinn Middle School and Hudson High School performed their annual Bandfest Concert for families and community members. Favorites such as "Blue Danube" by Johann Strauss II and Coldplay's "Viva La Vita" were a couple of the many songs performed and enjoyed by the audience. " 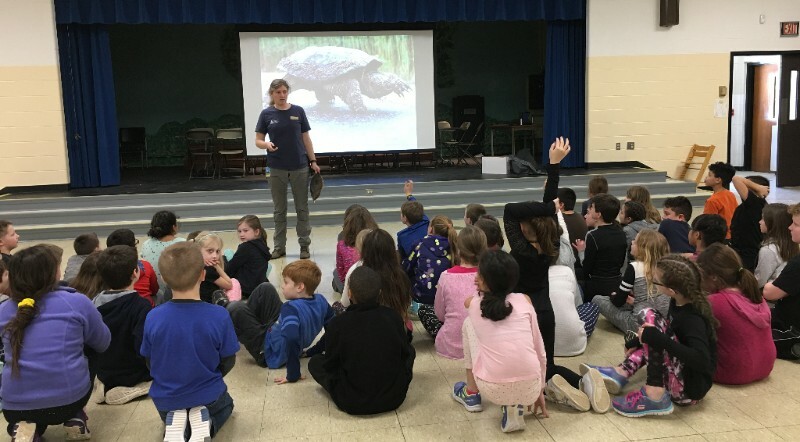 On Thursday, March 15th, a turtle naturalist from Zoo New England's Grassroots Wildlife Conservation visited Forest Avenue Elementary School to offer a lesson to third-grade students on Turtle Superpowers. Students learned all about turtles native to our area and how to protect turtles in the wild. This lesson is part of our Blanding's Turtle Headstarting Project that all third-grade students are currently participating in. Each of the three elementary schools is currently raising Blanding's Turtle hatchlings and preparing them for release to the Assabet River National Wildlife Refuge in late spring. Quinn Middle School's Drama Club to Perform The Lion King JR! Quinn Middle School Drama Club students are practicing for their upcoming musical "Disney's The Lion King JR!" Come see this beloved musical with your favorite characters from the Lion King. Performances will be at the David J. Quinn Middle School on Thursday, March 22nd at 7:00 p.m., Friday, March 23rd at 4:00 p.m. & again at 7:00 p.m., with a final performance on Saturday, March 24th at 2:00 p.m. Tickets will be sold at the door and are $8.00 for adults and $5.00 for students. sculpture by Quinn Middle School seventh-grader, Aidan Weagle. Did you know that Quinn Middle School's Art 1 teacher, Diane Hoff, recently had an article that she wrote published in the March 2018 edition of Schoolarts magazine? Her article, titled "Curled, Colored, TRANSLUCENT", highlights a studio lesson that she created for glass blowing. In this lesson, students begin by viewing a video by the American glass sculptor Dale Chihuly. They then discover the scientific properties of glass and investigate the process of glassblowing. Students also explore the concept of art installations, analyze differences between 2D and 3D art and determine the characteristics of a successful sculptor. The lesson completes with students creating their own "glass sculptures" using plastic shrink film. Tuesday, March 20th - Hudson School Committee Meeting - 7:00 p.m. Administration Building, 155 Apsley Street. Tuesday, March 20th - SEPAC Hudson Monthly Meeting - Hudson Special Education Parent Advisory Council. 6:30 p.m. - 8:30 p.m. Room A134 at Hudson High School, 69 Brigham Street. Thursday, March 22nd through Sunday, March 24th - Disney's The Lion King JR! musical by Quinn Middle School Drama Club - Thursday, March 22nd at 7:00 p.m., Friday, March 23rd at 4:00 p.m. and again at 7:00 p.m., Saturday, March 24th at 2:00 p.m. Open to the public, tickets will be sold at the door. $8.00 for adults and $5.00 for students., David J. Quinn Middle School, 201 Manning Street.